Last week I had the opportunity to go see a Queen tribute band, Gary Mullen and the Works and let me tell you it was amazing. I felt 18 again. Music has such an amazing power to take me back. The amazing thing about this wa it was stuff that had slipped a little into the recesses of my memories. I usually do one song for Musical Memories but that just won’t suffice this time. First a song that it took seeing the original video to really trigger the memories now it’s a favorite all over again. It wasn’t so much the float or homecoming but the boy I hung out with after float building sessions that this always brings to mind. Here’s one more just to mix things up a little. The concert was kind of a roller coaster of emotion. As good as it was to be taken back and feel like I was seeing Freddie Mercury, there was the renewed sadness of the loss and the wonder of what all we missed by losing Freddie entirely too soon. Thanks to my friends Seth and Brent who accompanied me to the show and to Gary Mullen and the Works for taking me back to 1980 something. And I’m just going to leave you with the name of the other because it’s the same time and same place but a whole different memory, it was The Chair by George Strait. So Madonna takes me back to a bar stool and dancing and Singapore Slings. Thanks Madonna. Music just takes me back. Lately it’s been Phil Collins that’s made me remember an old flame. It was 1986. There had been Live Aid the year before and Phil Collins was huge. He was one of the hottest acts going. The flame du jour and I were hanging out and I’m not sure but Phil Collins was live on the radio the whole night. He still lived with his mom and dad. I lived with my brother and sister-in-law and their two small children, so we had to find times and places to be alone together. This was one of those nights that we did. So I hear Phil Collins and I’m back there. It was one of those relationships that probably had more ups than downs but this memory is just a nice one that makes me smile and remember when. So it’s a sweet song. Yes it is about a couple on the verge of breaking up but it’s not morose, do you think it makes me think of love even unrequited love? Ohhhh No. It makes me think of the movie and book that scared me the most. Salem’s Lot. 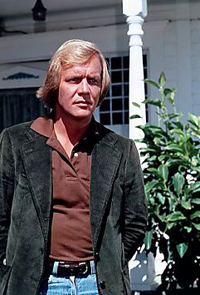 It’s not a complete stretch David Soul was in the movie. I was 13 years old and that movie terrified me. Those boy vampires scraping on the windows wanting to get an invitation to come into the house…oh my goodness. I had to sleep on my side with my back to my window because I thought they were going to be there. So a sweet love song sometimes send chills down my spine. The mind is a strange thing. Flashback to 1982 – I’m a junior in High School. Life is good. I’m dating a cute boy from M.D. Collins High School. Two things this song brings back very specificially and very clearly. First we had a video Journalism class at school, Let’s set the scene a little here. This was 1982 every school didn’t have it’s own state of the art video production studio to produce a morning news show and broadcast to the whole school. We had giant, heavy, awkward video cameras. One piece I worked on for our news show involved things kids did at the mall. Which included going to the “Record Bar”. Records, vinyl, turntables. Yes it was a different time. 45’s, singles, for $.99 life was good. So my job was to interview the manager of the Record Bar who said they were selling “literally hundreds of copies” of Mickey a day. I know I bought my single there. The other memory which brings us back to the cute boy referenced above, was the MTV rock hop. It was one of those after the football game dances and the local cable company came out and put up a huge screen in the cafeteria of Campbell High School (Fairburn, Georgia) and played videos. Once again you have to realize that this was a different time. MTV was brand new and for those of you who didn’t see it back then they played music. There was no Real World or Road Rules or Jersey Shore it was music videos and it was exciting and new. It was so cool and so much fun. It’s just one of those things I’ll never forget. When I hear the song Hey Mickey this is where I go. I’m back in the cafeteria at Campbell High School with the very cute, very sweet Kevin from M.D. Collns dancing and singing along and it makes me so very happy.